The bench stood twenty feet away. Such a short distance. Such an impossible one. Madeline clung to the trellis of ivy that bordered her mother’s garden path as she tried to force air into her ruined lungs. Every gasp felt like pushing sludge through broken glass. It was late morning on a Sunday, and she’d taken her inhaler an hour before—a quick, sharp breath of cold that disappeared much too quickly. She should have been in bed, flat on her back—not sitting, not standing, much less walking. But if the doctors were to be believed, it was one of the last spring Sundays she would ever see. Her chest and back hurt from the coughing. The sunlight caressed her face. She couldn’t stand at the trellis forever, and the return path to the house was longer. A few steps set off the coughing again. She pushed her fist hard into her ribs. She had dislocated them coughing three days ago, and they still didn’t feel right. Three steps brought her to the maple tree which crowded the path. Her vision dimmed, and her knees softened. She slid down the trunk, and when the coughing fit passed she dropped her head against the rough bark. 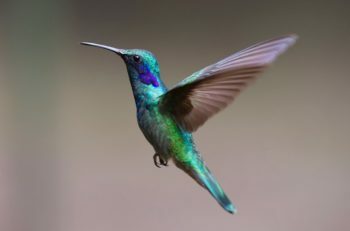 A hummingbird spun into the air beside her, its shining green body hanging to the right of her face. It chirped three times, then zipped to her left, its small, dark eyes studying her before disappearing toward the pineapple sage. The citrusy fragrance of the roses hung heavy across this part of the path. She took little half breaths, and it felt close to natural. The bees hummed as they visited the flowers. A squirrel hung off a sunflower by its hind lets, plucking seeds out of the wide circle of the flower’s face with its forepaws. This garden never quite seemed to follow the seasons . . . sunflowers blooming in spring instead of summer, roses year-round, frogs singing in the evenings no matter the weather. It was an oasis of near-magic in their suburban lot. Madeline used to build fairy houses along the “shore” of the fountain when she was a kind, using bark, leaves, and flowers to make tiny homes for make-believe friends. Her mother never cared for those little homes. She had planned the garden, a full acre of wandering paths, stone bridges, and small fountains. It was eclectic and a bit overgrown in places. Mr. García had done the planting and did the upkeep, too. Mom liked it a bit unkempt, and he worked to give it the impression of slight wildness. It didn’t look manicured, but there weren’t weeks, either. The fairy houses, Mom had said, looked like someone had forgotten to clean up after doing yard work. Everything in its place, Mom always said. Then again, Mom also wanted her house to “look lived in.” That meant strange habits like telling their housekeeper, Sofía that she couldn’t immediately put an abandoned glass in the dishwasher. Once Madeline had come home and smelled fresh cookies, only to discover it was an air freshener her mother had bought from a Realtor. “To make it smell like home,” Mom had said, seemingly oblivious to the reality that she was, indeed, home, and that actually baking cookies would have been simpler. A few more steps, Madeline decided, but halfway to the bench a racking army of coughs marched across her chest. She touched her lips, then wiped the blood in the grass. With her eyes closed and the little half breaths coming again, she counted to twelve. When the jagged feeling in her chest passed, she lay flat and watched the clouds drifting in some high, distant wind. Air moved so easily for everyone but her. It may have been a mistake, sneaking into the garden without telling anyone, with no way to call for help. She had chosen the perfect moment. Mom and Sofía had gone upstairs, something about washing the curtains. Dad was at the golf course, or work, or both. Her phone sat inside, turned off. The constant texts from Darius were making her feel guilty, but she had made a decision, and it was final. He couldn’t waste his life waiting for her. There wasn’t a cure. He needed to live his life. She needed to live what remained of hers. Whether it’s writing fantasy and science fiction novels, or writing spiritual books (yes, Christian spiritual books), I am passionate about creating books which are entertaining and change the lives of my readers for the better. 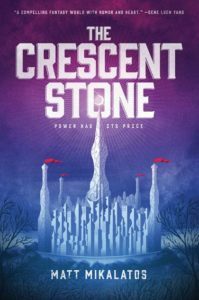 My most recent books are The Crescent Stone (a fantasy novel which anyone will love), Good News for a Change (a book for Christians about how to talk about your faith without being a jerk), and Sky Lantern (a spiritual memoir about one of the weirdest, most beautiful things that has happened to my family). I’ve had articles or stories with Today.com, Time Magazine, Relevant Magazine, Nature, and Daily Science Fiction, among others. I’m on staff with a non-profit (twenty years!) that works to help people live fuller, more balanced lives. I live in the Portland, Oregon, area with my family. 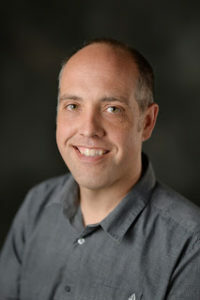 You may learn more about Matt and his writing at his website.